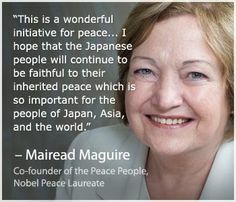 Mairead Maguire was bornon January 27, 1944 in Belfast, Irish, is Peace Activist. 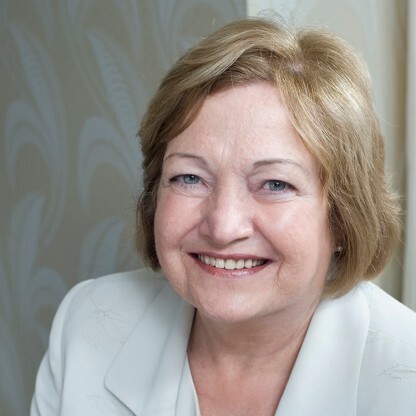 Mairead Maguire, formerly known as Mairead Corrigan, is a peace activist who co-founded Community for Peace People with Ciaran McKeown and Betty Williams. The organization is dedicated towards encouraging a peaceful resolution of the Troubles in Northern Ireland. For their work, Maguire and Williams were awarded the 1976 Nobel Peace Prize. She was also was a co-founder of the Committee on the Administration of Justice, a non-sectarian organization of Northern Ireland which defends human rights and advocates repeal of the government’s emergency laws. Born into a large family, she had to drop out of school at the age of 14. She started working and soon saved enough money to fund a year of education at Miss Gordon's Commercial College. Even though she was active in community work from a young age, she became active with the Northern Ireland peace movement following a personal tragedy that led to the founding of Community for Peace People. Her relentless work with the community, advocating a nonviolent resolution of the Northern Ireland conflict earned her much respect and acclaim, including the Nobel Peace Prize at the age of 32. She continues to be active in peace work and was one of the founders of the Nobel Women's Initiative along with fellow Peace Prize laureates Betty Williams, Shirin Ebadi, Wangari Maathai, Jody Williams, and Rigoberta Menchú Tum. Speaking at the Carl von Ossietzky Medal Award Ceremony in Berlin in December 2010, Maguire imputed Criminal accountability to President Obama for violation of international law. "When President Obama says he wants to see a world without nuclear weapons and says, in respect of Iran and their alleged nuclear weapons ambitions, that &apos;all option [sic] are on the table,&apos; this is clearly a threat to use nuclear weapons, clearly a Criminal threat against Iran, under the world court advisory opinion. The Nuremberg Charter of 8 August 1945 says the threat or use of nuclear weapons is Criminal, so officials in all nine nuclear weapons states who maintain and use nuclear deterrence as a threat are committing crimes and breaking international law." Referring to the decision to award Mairead Maguire and Betty Williams the 1976 Nobel Peace Prize, Journalist Michael Binyon of The Times commented, "The Nobel committee has made controversial awards before. 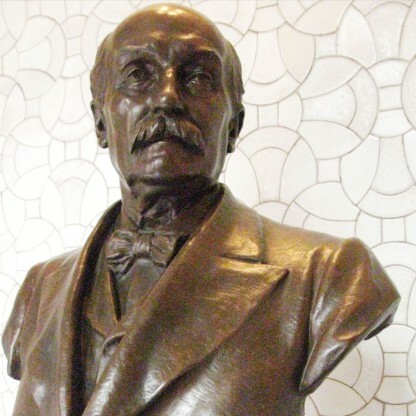 Some have appeared to reward hope rather than achievement." He described as sadly "negligible" the two women&apos;s contribution to bringing peace to Northern Ireland. 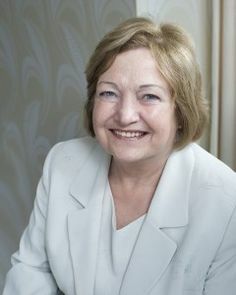 In January 1980, after a prolonged battle with depression over the loss of her children in the 1976 Finaghy Road incident, Mairead Maguire&apos;s sister Anne committed suicide. A year and a half later, in September 1981, Mairead married Jackie Maguire, who was her late sister&apos;s widower. 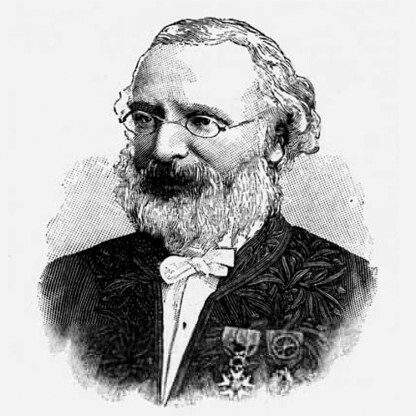 She has three stepchildren and two children of her own, John Francis (b. 1982) and Luke (b. 1984). 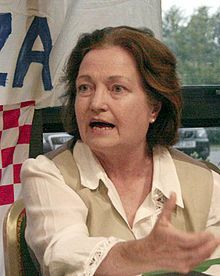 Mairead Maguire first visited Israel at age 40 in 1984. She came then as part of an interfaith initiative seeking forgiveness from Jews for years of persecution by Christians in Jesus&apos; name. Her second visit was in June 2000, this time in response to invitations from Rabbis for Human Rights and the Israeli Committee Against House Demolitions. The two groups had taken upon themselves to defend Ahmed Shamasneh in an Israeli military court against charges of illegally constructing his home in the West Bank town of Qatanna, and Maguire traveled to Israel to observe the court proceedings and support the Shamasneh family. Mairead Maguire has been a vocal supporter of Mordechai Vanunu, a former Israeli nuclear technician who revealed details of Israel&apos;s nuclear defence program to the British press in 1986 and subsequently served 18 years in prison for treason. Maguire flew to Israel in April 2004 to greet Vanunu upon his release and has since flown to meet with him in Israel on several occasions. 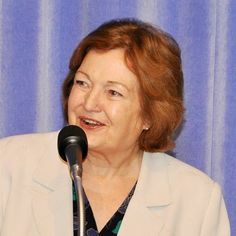 Mairead Maguire voiced strong opposition to the U.N. sanctions against Iraq, which is alleged by some to have resulted in hundreds of thousands of civilian deaths, calling them "unjust and inhuman," "a new kind of bomb," and "even more cruel than weapons." During a visit to Baghdad with Argentinian colleague Adolfo Pérez Esquivel in March 1999, Maguire urged then-U.S. President Bill Clinton and British Prime Minister Tony Blair to end the bombing of Iraq and to permit the lifting of U.N. sanction. "I have seen children dying with their mothers next to them and not being able to do anything," Maguire said. "They are not Soldiers." In the aftermath of al-Qaeda&apos;s attacks on the U.S. in September 2001, as it became clear that the U.S. would retaliate and deploy troops in Afghanistan, Maguire campaigned against the impending war. In India she claimed to have marched with "hundreds of thousands of Indian people walking for peace." In New York, Maguire was reported to have marched with 10,000 protesters, purportedly including families of 9/11 victims, as U.S. war planes were already en route to strike Taliban targets in Afghanistan. At a joint press conference with Mordechai Vanunu in Jerusalem in December 2004, Maguire compared Israel&apos;s nuclear weapons to the Nazi gas chambers in Auschwitz. "When I think about nuclear weapons, I&apos;ve been to Auschwitz concentration camp." She added, "Nuclear weapons are only gas chambers perfected ... and for a people who already know what gas chambers are, how can you even think of building perfect gas chambers." In a speech delivered in February 2006 to the Nuclear Age Peace Foundation in Santa Barbara, California, Maguire again made a comparison between nuclear weapons and the Nazis. "Last April some of us protested at Dimona Nuclear Plant, in Israel, calling for it to be open to UN Inspection, and bombs to be destroyed. Israeli Jets flew overhead, and a train passed into the Dimona nuclear site. This brought back to me vivid memories of my visit to Auschwitz concentration camp, with its rail tracks, trains, destruction and death." On 20 April 2007, Maguire participated in a protest against the construction of Israel&apos;s separation barrier outside the Palestinian village of Bil&apos;in. The protest was held in a no-access military zone. Israeli forces used tear-gas grenades and rubber-coated bullets in an effort to disperse the protesters, while the protesters hurled rocks at the Israeli troops, injuring two Border Guard policemen. One rubber bullet hit Maguire in the leg, whereupon she was transferred to an Israeli hospital for treatment. She was also reported to have inhaled large quantities of tear gas. In the wake of the 2009 Gaza flotilla, Ben-Dror Yemini, a popular columnist for the Israeli daily Ma&apos;ariv, wrote that Maguire was obsessed with Israel. "There is a lunatic coalition that does not concern itself with the slaughtered in Sri Lanka or with the oppressed Tibetans. They see only the struggle against the Israeli Satan." 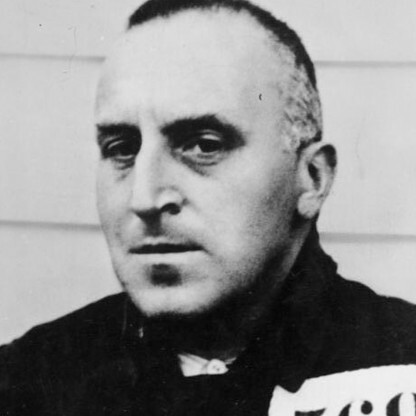 He further charged that Maguire chose to identify with a population that elected an openly antisemitic movement to lead it – one whose raison d&apos;etre is the destruction of the Jewish state. Maguire has more than once suggested that Palestinians are more interested in peace than Israelis are. She said in a 2011 interview that when she and some colleagues left Gaza in 2008, "we were very hopeful because there is a passionate Desire among the Palestinian people for peace," but "then Operation Cast Lead started the following week. That was horrific. It was devastating." Israel, she said, had killed Palestinian farmers and fishermen who were just "trying to fish for their families," thus proving "that the Israeli government does not want peace." In a 2013 interview, she repeated the same point, saying that in Gaza in 2008, she had been told by Hamas and Fatah Leaders "that they want dialogue and peace," yet a week later "Israel bombed Gaza, committing war crimes," showing "that there is no political will for peace in the Israeli government." In May–June 2010, Maguire was a Passenger on board the MV Rachel Corrie, one of seven vessels that were part of the Gaza Freedom Flotilla, a flotilla of pro-Palestinian Activists that attempted to bust the Israeli-Egyptian blockade of the Gaza Strip. In an interview with BBC Radio Ulster while still at sea, Maguire called the blockade an "inhumane, illegal siege." Having been delayed due to mechanical problems, the Rachel Corrie did not actually sail with the flotilla and only approached the Gazan coast several days after the main flotilla did. In contrast with the violence that characterised the arrival of the first six ships, Israel&apos;s takeover of the Rachel Corrie was met only with passive resistance. Israeli naval forces were even lowered a ladder by the passengers to assist their ascent onto the deck. After the incident, Maguire said she did not feel her life was in danger as the ship&apos;s captain, Derek Graham, had been in touch with the Israeli navy to assure them that there would be no violent resistance. 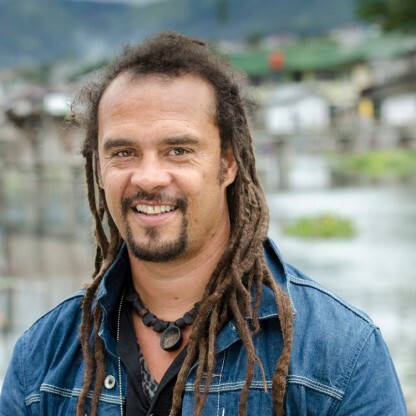 In 2015, Maguire spoke with Democracy Now in a sit-down interview titled, "No to Violence, Yes to Dialogue," which included two other Nobel Peach Prize Laureates, Jody Williams and Leymah Gbowee. Maguire discussed the Desire "to end militarism and war, and to build peace and international law and human rights and democracy." In 2016, Maguire attempted to break Israel&apos;s naval blockade of the Gaza Strip along with 13 other Activists, until they were stopped by the Israeli Navy approximately 40 miles offshore. The boat was escorted to the port of Ashdod. The Israeli military said the interception was brief and without injuries. Maguire complained that she and the Activists were "arrested, kidnapped, illegally, in international waters and taken against our wishes to Israel." The Post argued that if Maguire and others “truly Desire to improve the lives of Gazans, they should send their humanitarian aid in coordination with Israel,” pressure Hamas “and the other radical Islamists who control the Gaza Strip to stop senseless ballistic attacks on Israeli towns and villages, kibbutzim and moshavim,” and “insist that Hamas provide Gaza’s citizens with a stable, responsible leadership that respects human rights and religious freedom, as well as that it accept the UN-recognized right of the Jewish people to self-determination and political sovereignty in their historical homeland.” But Maguire “seems more intent on enabling Israel’s terrorist enemies,” exploiting “charges of a &apos;humanitarian crisis&apos; in Gaza in order to empower Hamas terrorists.” Jewish and Israeli opinion is not all negative. Following the June 2010 Gaza flotilla raid, Israeli Prime Minister Benjamin Netanyahu was careful to distinguish between Mairead Maguire&apos;s nonviolent resistance aboard the Rachel Corrie, which he referred to as "a flotilla of peace Activists – with whom we disagree, but whose right to a different opinion we respect," and the conduct of the Activists aboard the other six vessels, which he described as "a flotilla of hate, organized by violent, terrorism-supporting extremists." Gideon Levy strongly defended Mairéad Maguire in the Israeli newspaper Haaretz in October 2010, calling her "the victim of state terror" after Israel refused to allow her to enter the country and kept her detained for several days.